The components may be any real portfolio or portfolio from a partner. 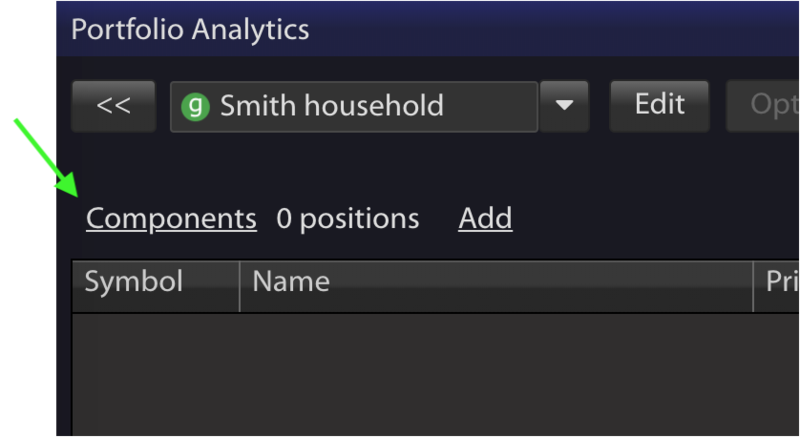 Note that model portfolios can not be grouped. 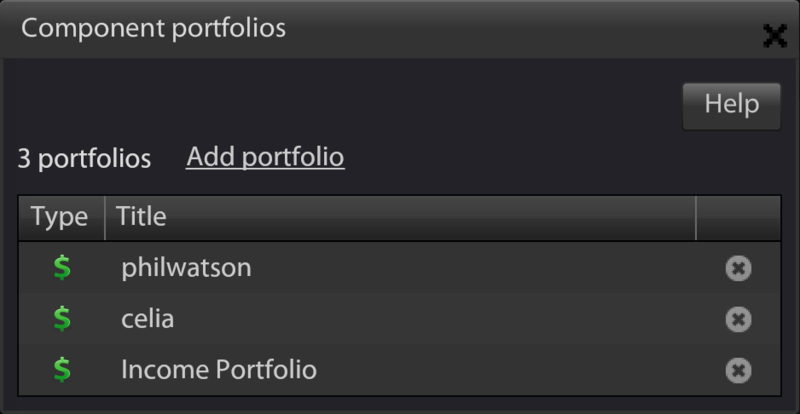 To remove a portfolio from a group, click on Components, then click on the X icon at the end of the portfolio row.